This is not the first time a Catholic priest has decided to convert to the Orthodox Faith. PRAVMIR. Archbishop Ambrose of Peterhof carried out the rite of joining the Orthodox Church of the Catholic priest Constatine Simon. 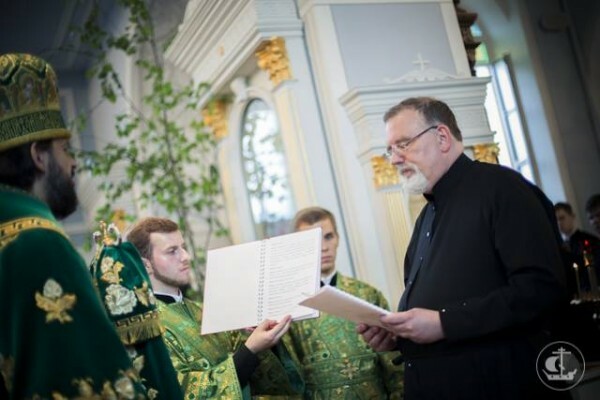 Deacon Paul Yermylov shared news of this conversion of a Catholic priest into the Russian Orthodox Church on his Facebook page. This is not the first time a Catholic priest has decide to join the Orthodox Church. For example, thirty-six year old Cuban Archimandrite Jerome (Espinoza), the famous chemist and graduate of a Catholic theological school, dramatically changed his life when he took monastic vows and devoted himself to serving the Orthodox Church.